Entrepreneur. Counselor. Friend. CEO. January LeVere does it all with grace. Community Care, her mental health agency, was the runner up for our Perfect Pitch competition. That night, she captivated the judges with her informative presentation and down to earth personality. We caught up with the dynamic businesswoman, at her Laurel office, to see how she makes greatness come to life. Tell us about your business and your “why”. 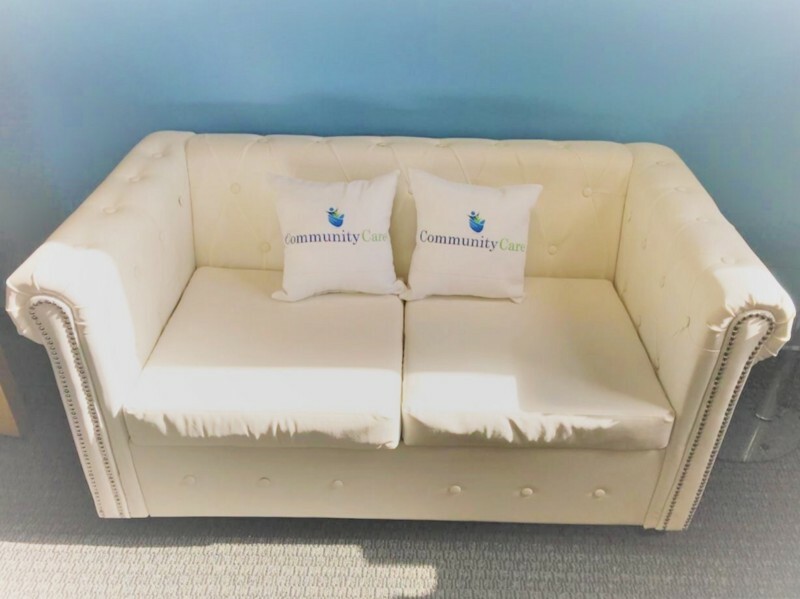 The name of my business isCommunity Care and we are a mental health agency. We provide Psychiatric Rehabilitation (PRP) and therapy services to minors and adults in Maryland. The reason why we do this to give back to the community, whether they have been recently diagnosed or just got out of prison. With children, they don’t have to have a severe diagnosis…it can just be something as simple as an adjustment disorder and up. For adults, we deal with the basics for anxiety and severe depression. We also help them find employment and housing. We’re happy to assist. This is something I’d never imagined doing. My husband and I were involved with helping the community and church. A friend of my husband, brought to our attention, that we could make this a business. My husband was a successful entrepreneur for 20+ years, while I was a project manager for a big corporation. I was trying to find my way. I knew I wanted to be an entrepreneur and not work a 9–5. My husband thought this would be a great opportunity for me to leave my 9–5 and start my journey to become an entrepreneur. Now that I’m doing it, I can see my husband’s vision. It’s fulfilling to see everything play out and how much I evolved. There are situations where some people aren’t ready to make changes, but you bring what you have to the table and help those who want to be helped. That’s it. How do you manage the different parts of what you do? Well, we have Family Service Coordinators which overall are known as Community Support Workers and they are assigned caseloads. The coordinators determine what kind of caseload they can handle (part-time, full-time). The Rehabilitation Specialist is the coordinator’s supervisor, so this individual, manages their caseload/paperwork, creates the treatment plans and interventions for client. As the business owner, are you part of their healing process? I’m the owner, program director and I also see clients, so I’m technically an FSC as well, so YES, I am apart of the healing process. The company is small, so I am able to make sure each and every client is receiving the services that are needed to start their healing process. As we continue to grow, I will make sure there are enough coordinators on board to continue to deliver the same level of service that we’ve always provided from the start. Can you tell us about your schedule? My schedule varies day to day, but I start my day off with the same routine. I wake up, drink my tea, check emails and workout at the gym or at home before heading to the office. Once, I am finished at the office, I head out to my appointments in the community. This is repeated Mon-Fri and sometimes on the weekends, just depends on the availability of the client. What are the pros and cons of mixing business with care? The great thing about providing our services is to watch the progress of our clients, but the downside, is that you build relationships with the clients and their families and at some point they must move on without you. How do you involve families in the process? After getting to know the client, which takes between 3 to 4 months, we start to involve their families if there’s a close relationship because in most cases the family plays an important role in our client’s life (positive or negative). I’m just like everyone else, I have good days and bad days. I’ve been through a lot. We all have. I find that when clients can relate and see you are sincere, it makes a difference and it keeps me motivated and focused. Do you think it’s a myth that new entrepreneurs have to get up early to be successful? I don’t believe there has to be a specific time — but don’t sleep the day away. It’s consistency. If you get up at 5:30 every morning, that’s just what you do. Whatever, you chose to do, stick to it and make changes when necessary. Let’s talk morning routines. Does it have to be the same everyday? That works because you know what to expect, but sometimes we experience bumps along the way that will throw you off track. If you are continuously working towards your goals everyday… that’s what will get you to where you want to go, even if your routine changes. How about evening routines, are they really necessary? I believe the way you start your day, matters most, but you must decompress at some point, so the evenings is when I make time for me and my family:) You can’t forget about, what matters most! Do you ever miss being on a set schedule? NOT AT ALL! I get extremely bored, with the same thing from one day to the next. I may have the same routine in the mornings, but what my day will look like, once I’m in the office or community will change on a daily basis. In business, it’s a revolving door, so finding a good team takes time. It took me a couple of years before I found what works for me and the company. You have to go through obstacles to find what works and when it works, make sure you do what’s necessary to keep your team happy and on track. 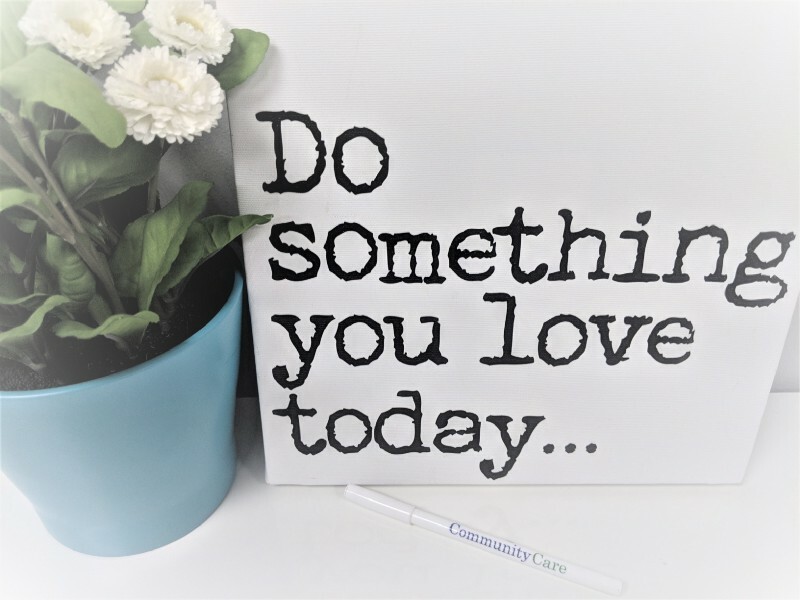 At Community Care, we are more like family. Running a business is not about you, it takes a team. Once you find that team, it’s an amazing thing. You can’t do it alone. Once I finally found that, everything just took off. Tell us about the future plans. I see myself expanding, beyond my current office in Laurel. 10 years, I’d like to have 2 other locations. I’m originally from Baltimore, I’d like to have an agency in Baltimore and DC. I will add more services, such case management, and substance abuse, which research shows is needed in this area. Any tips for people who want to open their own care business, like Community Care, Counseling Service or Rehabilitation Agency? Sometimes people get into this business and they are very business oriented or that’s strictly what they are focusing on which is awesome. You should be . You have to know how to run a business, but for them to also genuinely care about people and their well-being.